I’m certain you have seen at least one place in an anime series or movie where you thought, to quote Liz Lemon from 30 Rock, “I want to go to there.” Be it a scenic getaway in Japan, or an awe-inspiring fantasy land, the locales in anime are definitely travel-worthy. As an enthusiast of fine food and drink, I have picked out a few bars that I think would be great to visit. Obi-Wan Kenobi called the Mos Eisley Spaceport a “wretched hive of scum and villainy” and the anime equivalent has to be Black Lagoon’s near-lawless town of Roanapur. Located in this hotbed of John Woo-inspired violence is the dive bar The Yellow Flag. As one of the main hubs for the cast of Black Lagoon, this bar slings drinks to anyone and everyone from the world of organized crime. On a typical night, you might see chainsaw-wielding maniacs, deadly Colombian maids, or even nuns packing heat. The only major problem with this bar is its constant destruction and repair from gang-related spats. However, if you keep your wits about you, and wear a bulletproof vest, you’ll find that The Yellow Flag can be a melting pot of many cultures. Just don’t get into a drinking contest with Revy. Perhaps the direct opposite of The Yellow Flag, Quindecim from Death Parade offers a quiet, swanky vibe with a beautifully ornate bar and tasty drinks served by a solemn bartender. Quindecim is no slouch in the way of entertainment, either. You can play a variety of games, from billiards, to bowling to arcade fighting games. The bar even has its own ice skating rink. With its atmosphere and multitude of games, this is the perfect bar to bring a date. And if you’re feeling a change of pace, you can even visit another bar in the same building, that also provides games and has a stunning traditional Japanese design. The main issue about Quindecim is the price of entry, which to some, may be a bit steep. Some people aren’t fans of sports bars, but Sternbild City’s sport of choice is superheroes fighting crime. How cool is that? Cheer on your favorite hero as they take on the city’s rogues gallery and enjoy the city’s nightlife in the process. The massive TVs adorn the walls and give every seat a chance to follow the action. And depending on when you are there, you might even run into a few of the heroes themselves. The entirety of this bar was imported straight from England and reflects the charm of pubs found in its homeland. The lush, all wood interior of HOMRA is certainly inviting, but not as much as the regulars that frequent it. Although the Red Clan can be a bit feisty at times, they normally keep their cool when simply hanging out. But possibly the best thing about HOMRA is the wide selection of spirits and beer available. Full disclosure, I chose this place mainly because it’s the only bar in an anime I have seen that listed actual American craft beers on its menu. Wakako knows where it’s at. 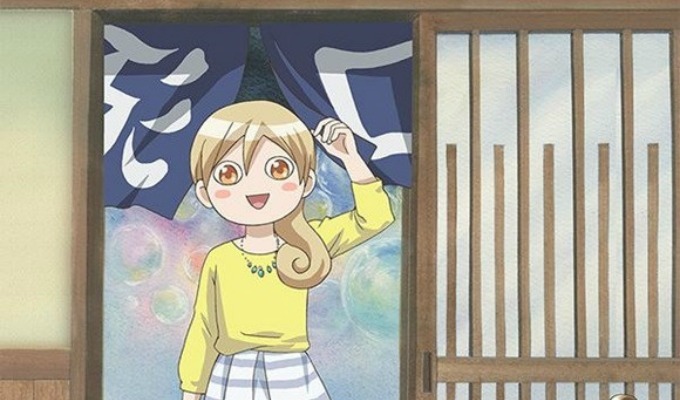 This last choice isn’t a single place like the others, but those that have seen the short-form anime Wakako Zake would agree that main character Murasaki Wakako certainly knows the best places to eat and drink in her neighborhood. She also knows the best way to enjoy said dishes and drinks, and will give a satisfied “Pshuuu” to reflect that. A tour of the places she frequents would be a highly enjoyable couple of days filled with great Japanese food.